Iris ochroleuca (Carl Linnaeus, 1771) Modern binomial nomenclature started with Linneaus' Species Plantarum in 1758 after that the earliest name had priority. Despite the fact that Linneaus published in Mantissa Plantarum Altera. Generum editionis VI & specierum editionis II. Holmiae [Stockholm] 175. 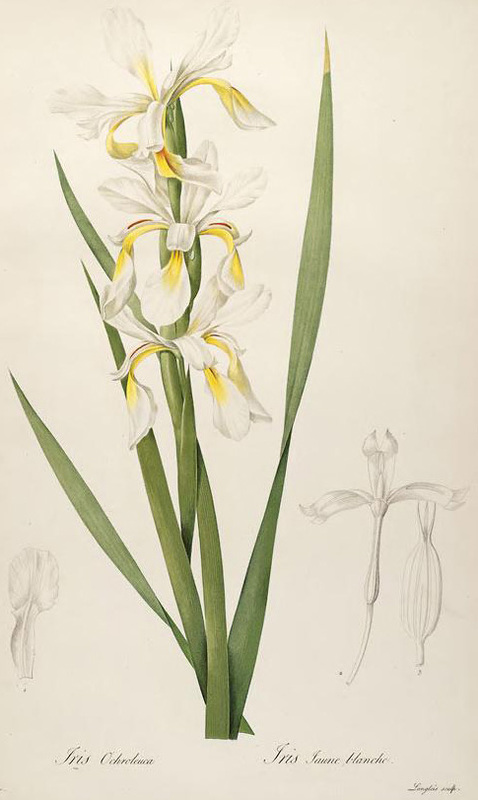 1771 [Oct 1771] the name Iris ochroleuca, unknown to him it had already been named Iris orientalis by Miller in the Gardeners Dictionary 1768, and that name has priority. Because this was not discovered until after 1939 the 39 checklist reflected the old name and unfortunately established the synonym. References; Linneaus in Mantissa 2: 175. 1771; Bot Mag 2: tab 61 1788; Dicksons 1794; Prince 1823; Revue Horticole 6 September, 1875; William Wood 1854; Wallace 1875; Foster in Gard. Chronicles 1883; Macoun; Farr 1912; Bonnewitz 1920; Sheets 1928; Scudder 1933; Stoner 1933; Berry 1938; Perry 1938; Oakhurst 1939; Wayman 1939. JPG ochroleuca01.JPG manage 74 K 25 Oct 2014 - 12:43 Main.TLaurin Photo by Don McQueen,London, Ont. Canada Zone5. JPG ochroleuca02.JPG manage 40 K 19 Jul 2014 - 20:32 Main.TLaurin Photo by Don McQueen,London, Ont. Canada Zone5. JPG ochroleuca1.JPG manage 923 K 22 Sep 2016 - 18:22 Main.TLaurin Photo by Don McQueen,London, Ont. Canada Zone5. JPG ochroleuca2.JPG manage 846 K 08 Oct 2016 - 11:19 Main.TLaurin Photo by Don McQueen,London, Ont. Canada Zone5.